The commission heard on Monday it was AMP’s practice to charge dead people life insurance premiums and then refund those premiums rather than cutting off a policy when informed of a client’s death. AMP’s group executive of wealth solutions and chief customer officer, Paul Sainsbury, told the commission AMP had identified 3124 members who had not been refunded and had been charged about $922,000 in additional life insurance premiums despite AMP being told the member had died. 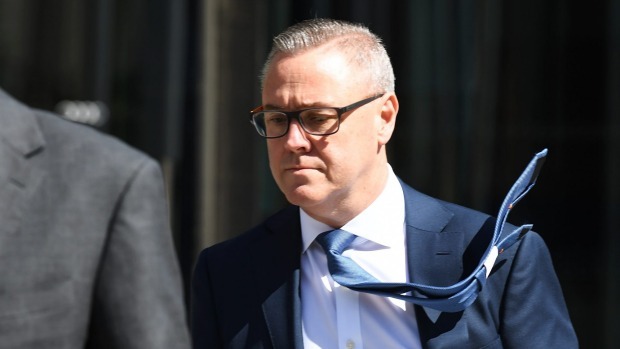 Responding to questions from counsel assisting the commission, Mark Costello, Mr Sainsbury said AMP had discovered in April that it had deducted life insurance premiums from some of its members’ accounts after their death but had not refunded those premiums. He said AMP had decided to conduct a review after the Commonwealth Bank had revealed during the April hearings of the royal commission into financial planning misconduct that CBA had charged thousands of deceased members fees for services they could not possibly receive. AMP reported the breach to the Australian Securities and Investments Commission (ASIC) and the Australian Prudential Regulation Authority (APRA) in June. Mr Costello took Mr Sainsbury to internal documents that showed AMP had received an internal complaint in 2016 about its practice of regularly charging insurance premiums to members who it knew had died and then refunding the premiums. “There was a better way to do it, which was to stop premiums on death rather than refunding them. It seems a rather obvious step doesn’t it?” Mr Costello asked Mr Sainsbury. Mr Sainsbury denied that AMP had identified its issues with charging dead people life insurance premiums in 2016, saying the breach reported to ASIC and APRA was about AMP not yet refunding the premiums it charged to dead people, not about charging dead people life insurance premiums. Mr Sainbury said he did not believe other life insurance companies were also charging premiums to dead people. Earlier on Monday, the commission heard an AMP superannuation member was charged $72,000 in additional life insurance premiums because they did not specifically declare they were a non-smoker when they were moved from an employer-specific AMP super plan to a general AMP super plan. AMP’s Paul Sainsbury said he did not believe other life insurance companies were also charging premiums to dead people. This was despite the member telling AMP through his financial planner that the last time he smoked “was when he was 13 and at Scouts”. Mr Sainsbury said the member’s account had been “delinked” and moved into a generic AMP fund in 2005 when the member resigned from his job and was no longer covered by an employer plan. The member was charged the higher premium until 2013 because he had failed to respond to a letter declaring he was not a smoker that he claimed had been sent to an incorrect address. As a result, the member was placed into a category that included both non-smokers who had not signed an official declaration of non-smoking, and smokers. The member later took AMP to the Superannuation Complaints Tribunal after AMP refused to refund the premiums, arguing that there were a range of factors that went into determining the delinked rate apart from just smoking. “The delinked rate takes into account a range of factors,” Mr Sainsbury said. Under questioning from Mr Costello, Mr Sainsbury also agreed that the only difference between the two categories was whether or not someone was a smoker. ASIC recommends that life insurance companies do not presume a person is a smoker given that around 14 per cent of people smoke. Mr Sainsbury agreed with Mr Costello that it would be fairer to include the smoking status AMP used on annual statements and give policyholders the chance to update or change their smoking status at a later date.